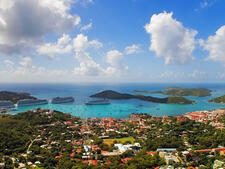 The largest of the U.S. Virgin Islands, St. Croix is perhaps the least known to cruise passengers, and that's a shame. The island -- home to the United States' easternmost point, Point Udall -- doesn't have the duty-free attractions of St. Thomas or St. Maarten. There's no prefabricated terminal in Frederiksted, a sleepy city on the west end that has been rejuvenated with extensive waterfront landscaping. There's no Senor Frog's, no Ripley's Believe it or Not. Instead, St. Croix features scores of nature activities and water sports, from horseback riding through the rain forest to some of the region's best scuba diving and snorkeling. History buffs will love the numerous historic attractions, such as Fort Frederik, the Estate Whim Plantation and the Christiansted National Historic Site's numerous monuments, reminders of St. Croix's Danish heritage. Those who enjoy the offbeat will be thrilled to tour the Cruzan rum distillery or feed beer to the island's famous drinking pigs. (Captain Morgan also has a facility on St. Croix.) A burgeoning food culture, anchored by the island's extensive agriculture, is becoming internationally known. And beach bums have scores of choices, both on the west end and farther afield. At the turn of the century, a rash of muggings gave the island a reputation for crime, which discouraged cruise lines from calling. 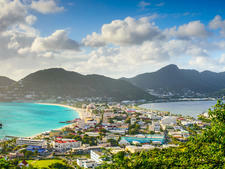 But within the past decade, St. Croix has polished its image with new investments so it gleams. Now, Vice President Joe Biden regularly takes vacations there. The area surrounding the pier in Frederiksted is landscaped with lush gardens, cozy benches and a shopping area consisting of a range of gazebos. Lovely iron torchlights provide illumination and a period ambience that befits the restored 17th- and 18th-century Danish Creole buildings. The waterfront, too, is landscaped along Strand Street; you can walk along the boardwalk for great views and access to beautiful beaches. A stop in St. Croix will show you some of the best aspects of the Caribbean, with the added ease of using U.S. currency, the English language and even your American cellphone. You'll leave amazed that you haven't heard more about this more "virgin" Virgin Island -- and will soon be plotting your return. You'll dock at the pier in Frederiksted, the island's second-largest town, unless your ship carries fewer than 200 passengers -- then it can dock in Christiansted. Frederiksted is on the island's west shore. Christiansted, which is larger, is about a 30-minute cab ride away. The Fort Frederik Museum, the Caribbean Museum Center for the Arts and a handful of restaurants are all nearby. For many cruisers, the popular Fort Frederik beach, which is located within a 10-minute walk of the pier just north of the fort, is all they need. People in St. Croix take religion and family seriously, and many shops and some historic sites are closed Sundays. Most excursions, beaches and restaurants, though, are open and ready for business. 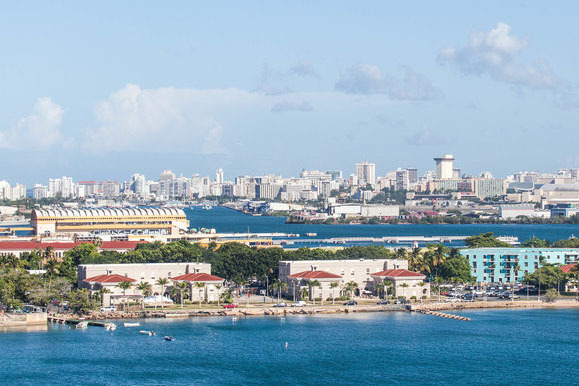 On Foot: Visit the nearby Caribbean Museum Center for the Arts and the Fort Frederik Museum or stroll along the renovated waterfront. Shops and restaurants are also available, although the selection is not as great as you'll find in Christiansted. By Taxi: Taxis congregate at the foot of the pier. The government sets prices. For most trips, you'll want to ask your taxi driver for a return ticket, so you can ensure your trip back. A one-way trip to Christiansted is $24 for two people, for instance. By Car: Most rental agencies are based either in Christiansted or the airport, but Frederiksted has two: Budget is right across from the cruise dock, and Avis is 100 feet from the dock. Solar-powered car rentals are also available. Independent car rental operators will usually meet you at the pier with your car. The currency is the U.S. dollar, and many places also accept credit cards; a fair number of smaller restaurants are cash only, though. 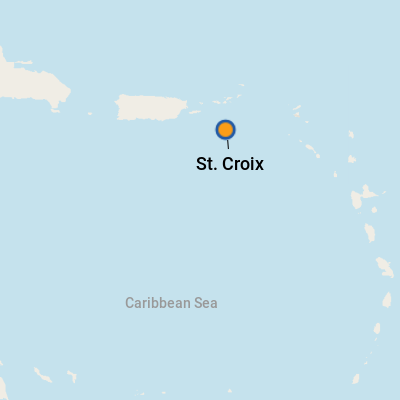 St. Croix has no sales tax. ATMs are readily found in Christiansted and Frederiksted. English is the official language but often with a Caribbean twist of unique pronunciations and vocabulary thrown in. The island still attracts visitors from Denmark, so you might see some signs and menus in Danish, particularly in Christiansted. Because it's the most agricultural of the Virgin Islands, St. Croix restaurateurs have access to a bounty of local produce. Consequently, the food there is the best that weve had in the Virgin Islands. Go local with chicken, served with curry, stewed or in a roti, or search out Caribbean lobster (sweeter than its Maine counterpart). Or try one of the more upscale restaurants that have opened; the St. Croix Food & Wine Experience keeps getting bigger every spring, and the international chefs it brings have encouraged restaurants to up their game. A Crucian hook bracelet, with a horseshoe-shaped closure, which you can buy from numerous jewelry shops (Sonya Ltd. is the most famous). And of course, there's always Cruzan Rum. The Virgin Islands' Cruzan rum is still made there; try a snifter of Cruzan Single Barrel or a cocktail made from its variety of flavors, including mango, coconut and passion fruit.